Although Heckler and Koch is better-known for their incredible collection of military weapons, such as the MP5, the German arms company also produces several top-shelf civilian firearms. 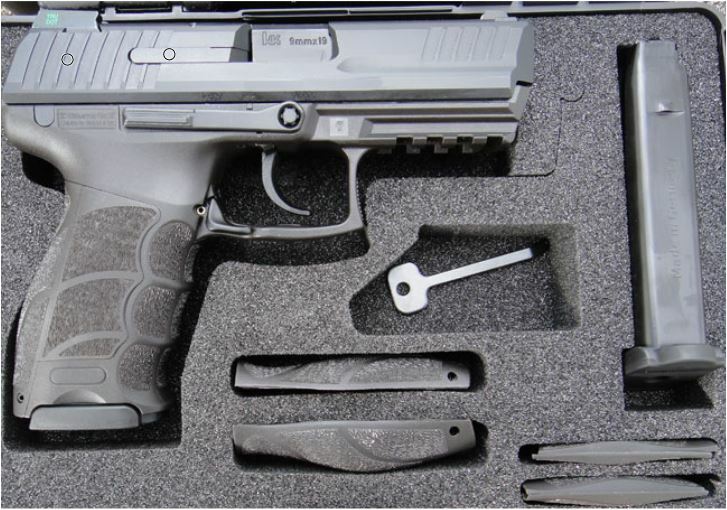 While H&K originally designed this lineup of polymer-framed pistols in 2006, the P30 series underwent several major overhauls until its culmination with the P30SK. Even though these semi-autos are popular in the civilian market, the P30SK has also found itself in the hands of several European law enforcement agencies. 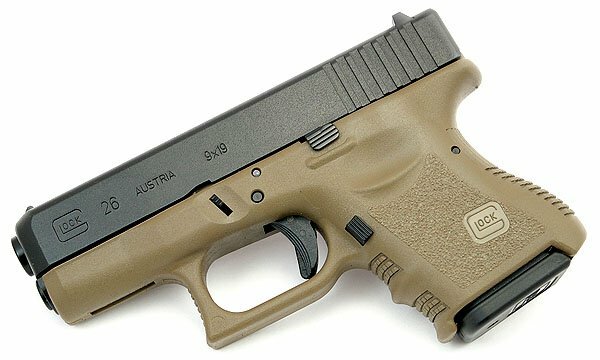 In fact, in addition to its common use as a concealed carry weapon, many militaries, law enforcement, and security personnel rely on these German handguns as their backup weapon. But before we get into this impressive versatile handgun, I recommend checking out our company overview of H&K. Like a phoenix rising up from the ashes of war-torn Germany, find out how a few surviving Nazi engineers turned a demolished arms factory into a world-class weapons enterprise. Weight: 24 oz. and 26.8 oz. As the most recent addition to the P30 Series of HK semi-automatic handguns, the P30SK is loaded with tons of modern, updated features. While there are many standouts on the HK’s build, its ergonomic grip system is arguably the best. In order to achieve the ultimate shooting experience, the German gunmaker outfitted these CCWs with a multitude of interchangeable lateral grip panels and backstraps. As a result, shooters are afforded a custom-feel on their P30SK that ultimately does wonders for accuracy and ease of carrying. In another attempt at boosting its user-friendliness, HK provided these handguns with simple, tool-less fieldstripping. Similarly, they also incorporated a dual ambidextrous slide and magazine release. The next feature users tend to notice is the abbreviated, MIL-STD-1913 Picatinny rail forward of the P30SK’s trigger guard. Whether or not you choose to utilize the rail, it’s always nice having the option and later on, we’ll be discussing some of its most popular attachments. One of my favorite features on these Heckler & Koch’s is also one of the most underrated. While people often overlook a handgun’s slides, the German gunmaker niftily added anti-slip slide serrations on both ends of the P30SK. Furthermore, to make these polymer pistols even more user-friendly, HK went with the V3 Double-Action/Single-Action trigger. Consequently, they integrated a spurred hammer and decocking lever but did wonders to ensure that it won’t negatively affect its carrying ability. Although this is the most common setup, they also offer CDA/DA and CDA trigger system as well. Lastly, the German firearms manufacturer made several efforts to enhance the P30SK’s durability, especially regarding its barrel. Specifically, H&K crafted their polygonal barrels with cold-hammer forging to ensure its resiliency and overall dependability. Nevertheless, much of the gun’s sturdiness stems from its nitro-carburized steel barrels and use of high-quality polymers. Likewise, HK gave nearly all the metal components of the P30SK their Hostile Environment (HE) finish. This efficient, chloride-resistant black oxide coating is remarkably useful in protecting the P30SK against corrosion and wear. The best part of it all is that in addition to all this protection, the German masterpiece is also quite attractive and intimidating. While the P30SK is surprisingly versatile, its ideal use as a CCW led HK to incorporate several safety features. 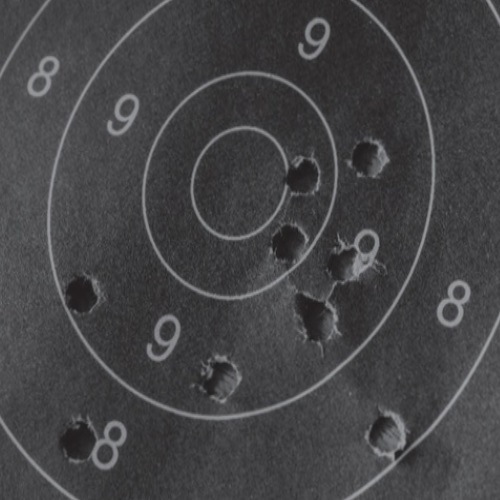 For starters, the German gunmaker opted for the reliable automatic hammer and firing pin safety. Additionally, H&K went with an ambidextrous external safety lever and a standard loaded chamber indicator to keep the P30SK’s safeties as intuitive as possible. Lastly, they also integrated a decocking latch on some of the models as an added safety feature. Heckler and Koch outfitted the P30SK with high-performance luminescent (non-radioactive) sights standard but there are a few other available options. Besides for these self-illuminating open post 3-dot sights HK also offers their popular firearm with Tritium night sights. While HK provides each P30SK owner with two or three 10-round box mags, depending on the configuration, shooters can also opt for extended 15-round (9mm) or 13-round magazines (.40 S&W). Additionally, some models contain an empty mag indicator which acts as a brightly colored magazine follower. If the spec sheet or list of premium features didn’t give it away already, let me make it clear that the HK P30SK is one hell of a firearm. In addition to the custom-feel provided by the modular grip system, the semi-auto is all-around comfortable and intuitive. 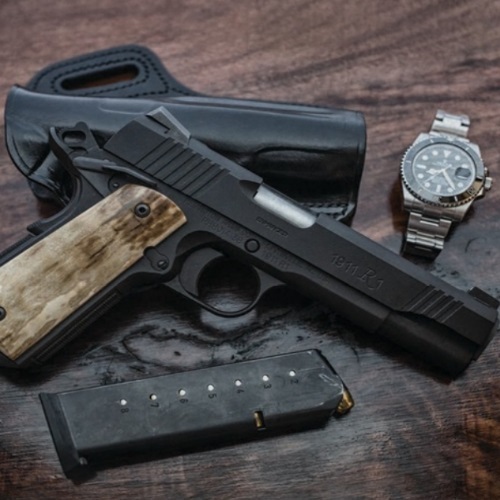 As a matter of fact, with over two dozen possible grip configurations, it’s easier than ever to get the perfect handle on your pistol. 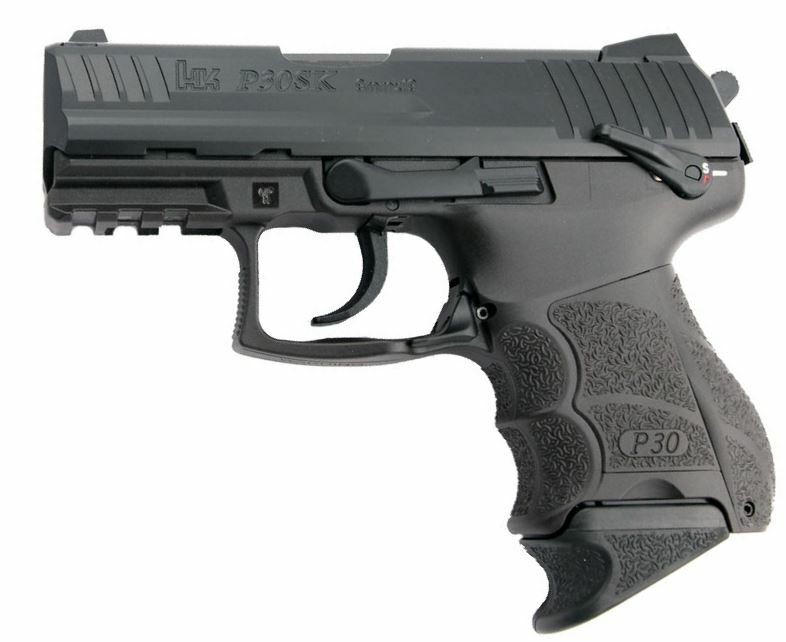 Furthermore, HK also offered the P30SK with a few trigger options, all of which are tremendously reliable and crisp. In fact, it was the 4.5 lb. DA/SA trigger that convinced me that they did not overprice their handgun. Additionally, the German pistol offers top-shelf accuracy thanks to their advanced barrel technology and natural point and shoot ability. I used to think that pistol sights can’t make such a noticeable difference in performance, but the HK P30 proves that it can indeed. A top-shelf handgun like this requires a top-shelf holster and there are plenty of great options out there to choose from. For starters, you can’t go wrong with the reliable and affordable Alien Gear and their Cloak Tuck 3.0 IWB Holster. After a couple of days to break in the leather, these end up becoming one of the most comfortable IWB holsters on the market. 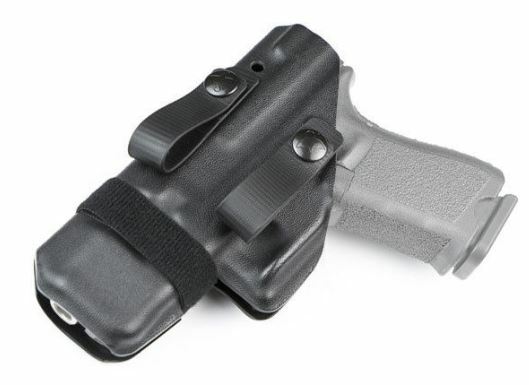 For the folks who are looking for something a little bit more traditional, the Comp-Tac Infidel Ultra Max IWB holster is also a great CCW choice. Lastly, you can never go wrong with a Fobus, so check out their Passive Retention holster that offers nearly a dozen mounting options. Because the HK P30SK is already such an impressive weapon it seems totally unnecessary to add any attachments. That being said, for those who insist on utilizing the Picatinny accessory rail, your best option is the Crimson Trace Master Pro Universal Laser Sight & Tactical Light. 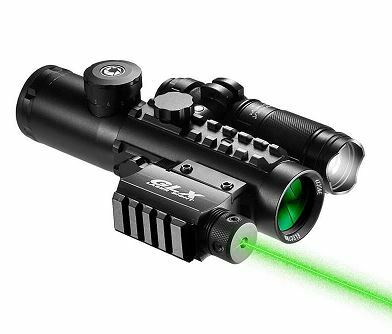 Although pretty pricey, this tactical masterpiece is arguably one of the best sight accessories in the industry, plus it’s said to fit over 200 handguns, making it one of the most versatile around. 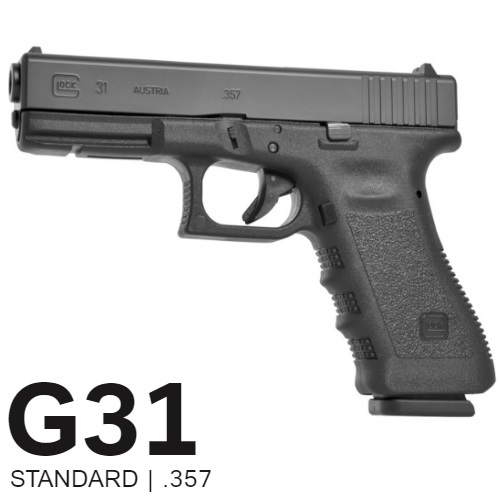 A lot of folks try to compare the P30SK to the popular Glock 26 but the comparison is a bit far-fetched. These two polymer pistols are quite similar in size, in fact, the Glock might even have the advantage in terms of its concealability. At the end of the day, there’s a reason the H&K is so much more expensive. By offering significantly better accuracy, ergonomics, control, and reliability, the HK is clearly the superior firearm. At the end of the day, it’s hard to beat the H&K P30SK. With the intuitive ambidextrous controls, modular grip system, and insanely durable design and finish, this semi-auto sets the bar really high for the competition. Now that the German gunmaker has achieved such a high standard, I’m looking forward to seeing what H&K will come out with next. Thanks for joining us at Gunivore!